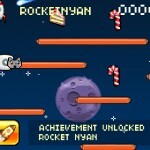 Runner Pixel Action Click to find more games like this. 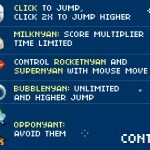 Cheat: Keyhack 1 bubble, 2 supercat, 3 rocketcat, 4 cococat, 5 magnet. 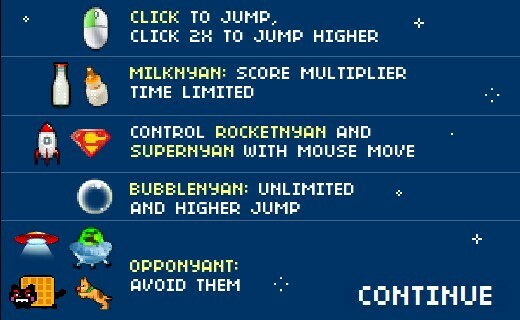 Keyhack 1 bubble, 2 supercat, 3 rocketcat, 4 cococat, 5 magnet. 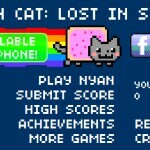 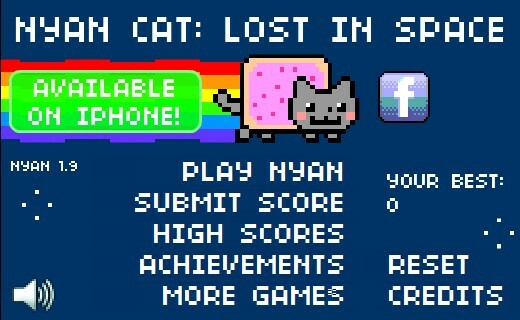 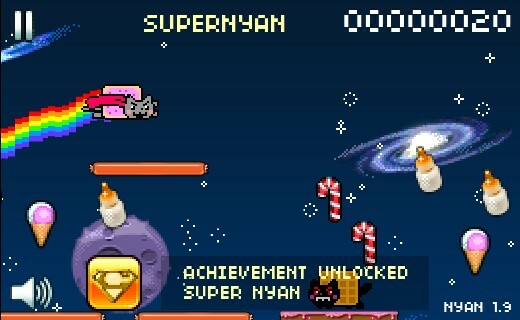 The Nyan Cat is Lost in Space and is eating all the yummy junk food in the galaxy! 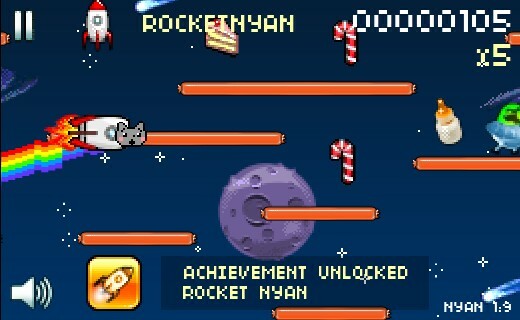 Run, slip, slide, fly & bounce as you eat candy, cakes, donuts, ice-cream, milk & more to earn the highest score! 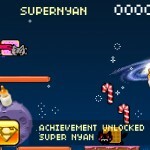 Get multipliers, special powers & earn cool achievements!